IN A FEW MONTHS THE GOATS WILL BE BACK IN ACTION!!!! I just had to write a post real quick and shout out Anderson Silva, Jon Jones, and Conor McGregor. I’m truly happy to see my favorite fighter Silva coming back especially if the rumors are true that GSP wants to fight him. I have been waiting over 5 years for this fight and I really hope it happens. Of course Jon Jones coming back is amazing because we all know that he is still young and could possibly; if he stays on the right path; become the GOAT. He has plenty of time and he can fight in both the heavyweight and light-heavyweight divisions and still have the longest reach and be big enough for both weight classes. As well as we all know how good Conor is for the sport and how truly talented he is and I can not wait for October 6. I am truly happy that fighters are finally started to get paid the way they should have been for years. Then you have Brock Lesner coming back who is another PPV draw. I’m really happy to see that the UFC will deffinity have some amazing and exciting fights in the future. I really think that Daniel Cormier; who I believe is deffinity in contention for the GOAT to step in the cage, but if he wants to leave no doubts he needs to fight Jones one more time. Either way it will not hurt his legacy since it would probably be his last fight in MMA. He would have everything to gain and DC has grown a lot this past couple of years. I just had to say how excited I am to have this fighters back in the octagon. I mean seeing GSP was amazing but imagine Anderson Silva vs. George St. Pierre and Jon Jones being on the same card for their end of the year PPV. If UFC wants to make some money their you go. 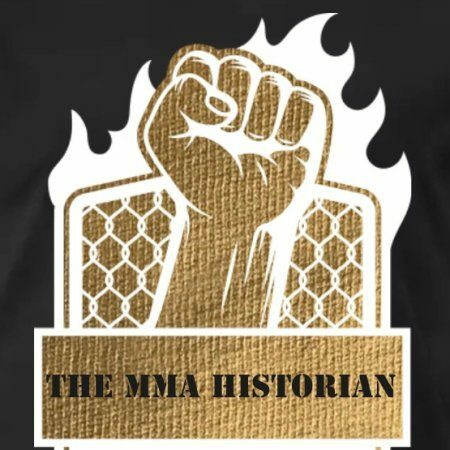 I mean if you really want to push it and make the greatest event in history you add Conor McGregor, I guarantee all seats are sold and PPV buys would break every record in the book. I mean look at what numbers Conor McGregor vs. Khabib Nurmagamdov is predicting to end up being. This is without knowing who else is fighting on that card. So just imagine how crazy this October 6, 2018 is going to be. I am just truly excited to see what the UFC has planned for the future and I truly hope that their numbers and the popularity the sport has gained goes back to being the fastest growing sport in the world and these UFC fighters finally start making the kind of money they have deserved for over ten years now. One thing I want to say though is I’m sorry but Jon Jones is to big for Anderson Silva so I don’t see that every happening; but GSP and Silva, now that is a match I have been waiting for since like 2010. Let me know down below what you think the future holds for the UFC as far as fights and who you think will win in the fights we already know are happening in the future. Including tonight UFC event. Who do you guys got, Cody or TJ? Let me in the comments. Thanks again everybody and I apologize for not posting in a while. Leave a comment below what you picks are for the fights tonight! NextI’m working on a new project and any help I can get to launch this would truly be appreciated, involving mental health and addictions.